SANTA ANA — Bowers Museum and Kofu Bonsai Kai will present Bonsai Fest from Sept. 23 to 28 from 10 a.m. to 4 p.m. daily at the museum, 2002 N. Main St. in Santa Ana. 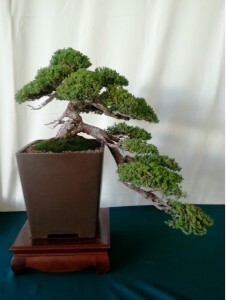 A bonsai and suiseki display will be on view throughout Bonsai Fest. Events will include the following. Sunday, Sept. 28: Traditional Japanese tea ceremony from 1 to 2 p.m.; talk on “Deco Japan: Shaping Art and Culture” by Dr. Kendall Brown from 2 to 3 p.m.
For additional information, call (714) 567-3600 or visit www.bowers.org.